Give your child a hands-on experience with many of the instruments available to study at the VSO School of Music! 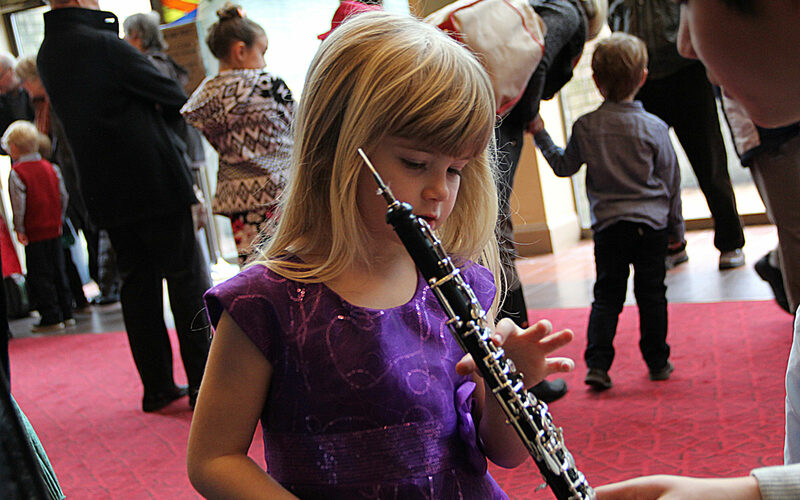 Families with children from toddlers to age 6 are invited to our Spring Term Instrument Petting Zoo. Children will have the opportunity to hear, touch and try a variety of real musical instruments, meet instructors and try their hand at musical crafts and games. This is a FREE event – no registration necessary!